Before transmission level electricity can be delivered to customer locations, it must usually travel through a distribution substation. Exceptions to this are large industrial or manufacturing facilities in which case transmission level service is provided. The main purpose of distribution substations is to lower the transmission voltage to 39,000 volts or less to feed the distribution system. 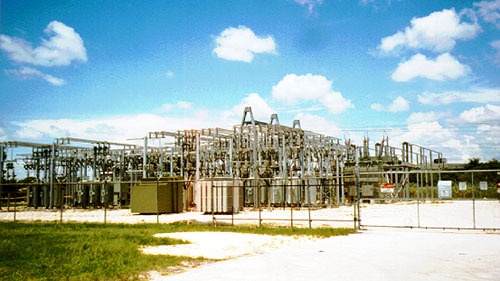 Distribution substations (much like transmission substations) also contain one or more transformers, switches, circuit breakers and lightning arresters to protect the electrical system from the damaging effects of short circuits, overloads and lightning.